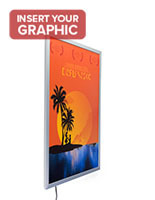 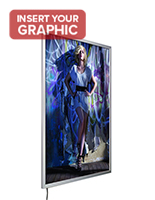 This light box frame for posters is designed to create high visibility backlit graphics and signage in public spaces, including retail outlets, concourses, hallways, lobbies and showrooms. 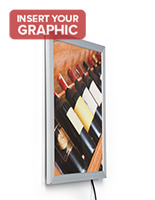 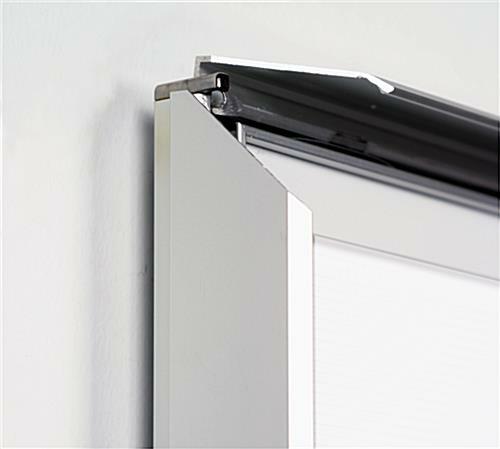 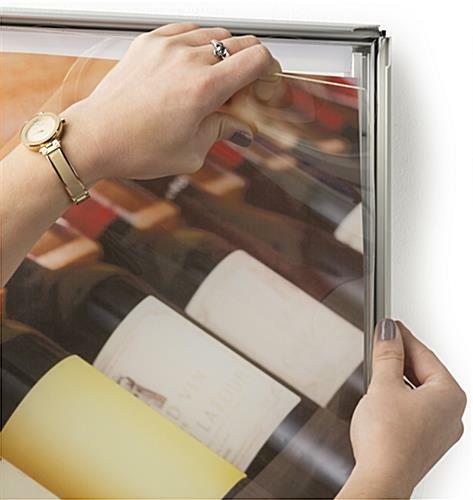 Each silver finish aluminum fixture features front-loading snap-open framing that allows 20" x 30" images to be swapped out without removing the fixture from the wall. 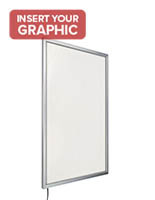 This energy-efficient LED lightbox frame for posters has a V-cut etched light guide panel that evenly diffuses light and provides an average of more than 5000 LUX for brilliant illumination. 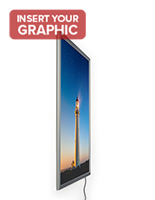 This attention-grabbing 20x30 graphics holder comes with all necessary hardware for installation in either portrait or landscape orientation. 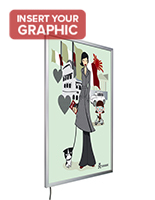 This stylish wall-mounted illuminated frame for posters is ideal for use in high traffic commercial, retail, hospitality and public spaces. 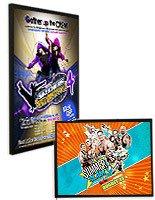 The simple snap-open framing is perfect for businesses that require frequent graphics changes. 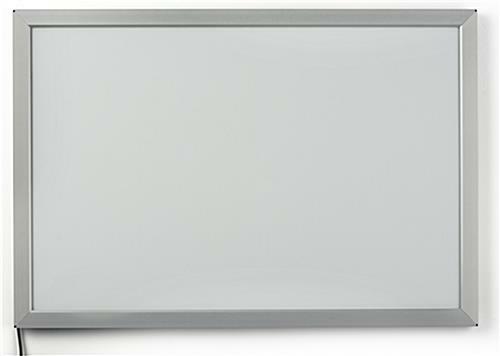 32.0" x 32.0" x 0.75"